This is the love story of Michael Keddington and Faye Murrow, a love story that takes place not in seclusion, but in the real world, with the challenges that all lovers must face. No relationship is an island: there are threads that bind us all and pull at our lives: the demands of family, friends, work, and social obligation. And there are times that the pull of those threads becomes greater than the strength of the relationship. In these times, no matter how much two people love each other, a relationship must grow strong or be torn apart. The Carousel is about what happens when life doesn't turn out the way that we planned. More than a love story, it is about faith, loyalty, and sacrifice. My hope is that you, and those with whom you share this audiobook, might find the message of this story meaningful and applicable to your own life. And that in some way you might feel changed. Richard Paul Evans, bestselling author of the beloved classic The Christmas Box and The Looking Glass, writes the final chapter in the love story that began with The Locket, returning to the unfinished story of Faye Murrow and Michael Keddington in a tale that will delight and inspire readers everywhere. 1. What is the significance of The Carousel dream that opens the novel? What does The Carousel represent? When Faye's horse comes around and is riderless, Michael, frantic about her disappearance, asks the carnival man whether he will see her again. "I suppose that's up to you," he answers. How are we to interpret this exchange? 2. 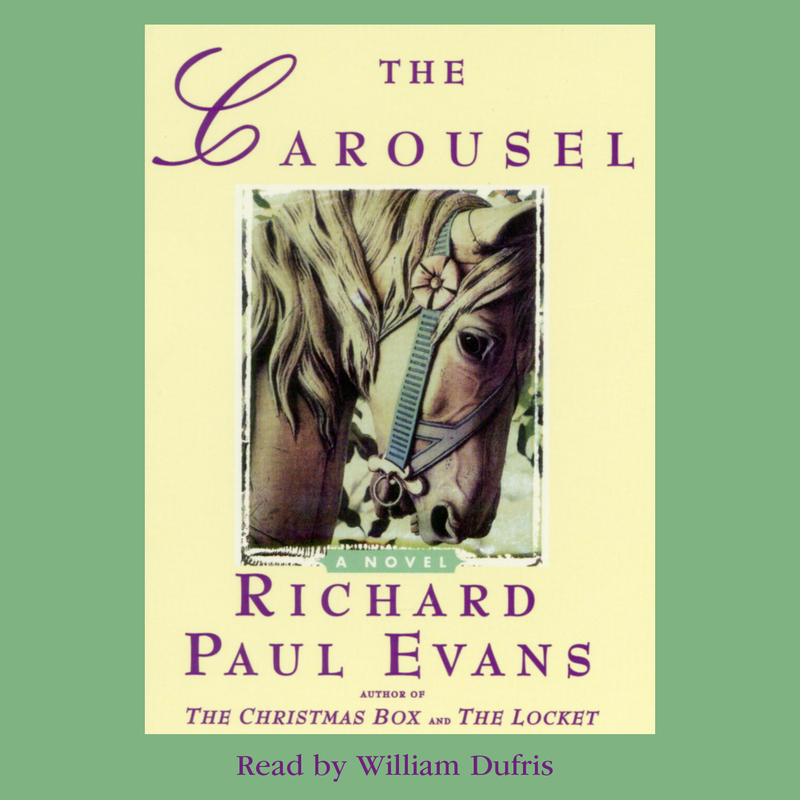 The Carousel is the third and final novel in the series that begins with The Locket and continues with The Looking Glass. Which of the three novels is your favorite? Which did you like least? Why? How are the three books connected stylistically and thematically? Each book stands on its own, but in what ways does each one take on a deeper meaning if you have read all three? Does the order in which you read the novels matter? To you? To the author's intentions? If you should happen to read the last book in a trilogy first, do you ever find yourself going back to read all three books in the sequence the author intended? Why do you think it might be profitable to do so? 3. In The Locket Michael, having learned valuable lessons about love and second chances through his friendship with nursing home patient Esther Huish, is able to surmount his insecurities and heal the rift between him and Faye. Yet, when another serious rift separates the lovers in The Carousel, Michael again allows his hurt feelings to fester. How does your knowledge of what happened in the first book affect how you respond to Michael and to the optimistic ending in the final novel? Are Faye and Michael doomed to keep failing to reach out to each other every time a crisis comes up in their lives? Do you think a reader is likely to interpret the ending of The Carousel differently having read The Locket? 4. In The Carousel, Michael writes in his diary of his love for Faye: "I have found home." Discuss the concept of love as the feeling of home. Michael also writes in his diary: "I'm no longer certain where I leave off and where she begins." Some people share Michael's view of romantic love as two beings becoming one, but many others reject that notion and see love as strengthening two individuals to grow into their own best selves. Which view of romantic love is more appealing to you? Why? 5. The characters in The Carousel face many modern problems related to birth control, adolescent depression and suicide, and the psychological effects of miscarriage. Why do you think author Richard Paul Evans has chosen to set the story in the year 1989, before many of these issues became widely discussed in the public forum? Would Michael and Faye have acted differently coping with pregnancy, miscarriage and Jayne's suicide in today's more open and informed atmosphere? Would their difficulties be any easier to solve? 6. After Jayne's suicide, Michael berates himself for keeping her confidence and not revealing their conversation to Faye. Should he have betrayed Jayne's confidence, or was he right to honor her wishes? Were those the only choices he had? Could he, or should he, have done more to reach out to her himself? How do you think the author expects us to feel about Michael's failure to act? Is Michael right to feel guilty or was it only natural for him to attribute Jayne's unhappiness to normal adolescent confusion? 7. When Faye expresses her ambivalence about their secret marriage and her pregnancy, Michael is too hurt and angry to see things from Faye's perspective. Why are these two people who love each other unable to reach out and give one another the comfort and reassurance they need? After Faye miscarries and Michael drives across country to try to heal the rift between them, he is stung by her rejection. Both are hurting, both are being let down by the other. As a reader, do you sympathize with both of them equally, or do you find yourself choosing sides? Should we expect Michael to submerge his own hurt feelings because at this moment Faye-grieving over her sister's suicide and her own miscarriage-is the needier one? Do you believe there are times in a relationship when one person's needs must take precedence over the other's? 8. "The greatest shackles we bear in this life are those forged by our own fears," Hunter Bell writes in his diary in The Looking Glass. Discuss how their fears shackle the characters in all three novels. 9. In The Locket, when Esther asks Michael to read her his poetry, he tells her he has never shared it, to which she responds, "Then you don't share yourself." Why is Michael so reluctant to open up? What makes a person afraid to love? Michael, Esther, and Hunter Bell are characters in the trilogy who at one time or another have tried to construct walls around their hearts. But what success have they had? Have you known people who have set up barriers to guard against emotional pain? Do you think it works-or do you think that most of us become vulnerable and get our feelings hurt no matter how hard we may try to protect ourselves? 10. In The Locket Esther asks Michael if he believes in second chances. "If we've made a mistake in our lives, do you think that God or fate gives us a second chance to make it right? "she wonders. In the novel's most poignant scene, Esther, having learned of Thomas's wife's death in the morning obituary, has Michael take her to him. What is the lesson to be learned from the tragic reunion between the frail, blind, old woman who yearns for a second chance at the love she forsook long ago and the frail, grieving, old widower who doesn't even recognize her? When Michael tries to draw her away, saying they can return tomorrow, and she replies "I have no more tomorrows" and then breaks down sobbing inconsolably, are we to conclude that life denies us second chances? What is the message that Esther leaves behind for Michael in her final letter: "God does allow us second chances. But sometimes they're just best given to someone else?" 11. The theme of forgiveness is a common thread running through all three novels. In The Locket, Michael must find a way to forgive his alcoholic father, long dead, for abandoning him and his mother. Quaye in The Looking Glass and Faye in The Carousel must find a way to forgive themselves. "We are chained to that which we do not forgive," Esther tells Michael. What does she mean? Do you agree with her? 12. In The Locket Michael has trouble seeing himself as worthy of Faye's love; in The Looking Glass, Quaye has trouble seeing herself as worthy of any man's love. But as Hunter tells Quaye, "We do not see things in this life as they really are-only as we believe they are. It is as written in the Bible, we see through a glass darkly-but no glass is as dark as The Looking Glass in which we see ourselves." What is the significance of the title The Looking Glass? Discuss the message the book delivers about the distorted mirror in which we see ourselves. 13. 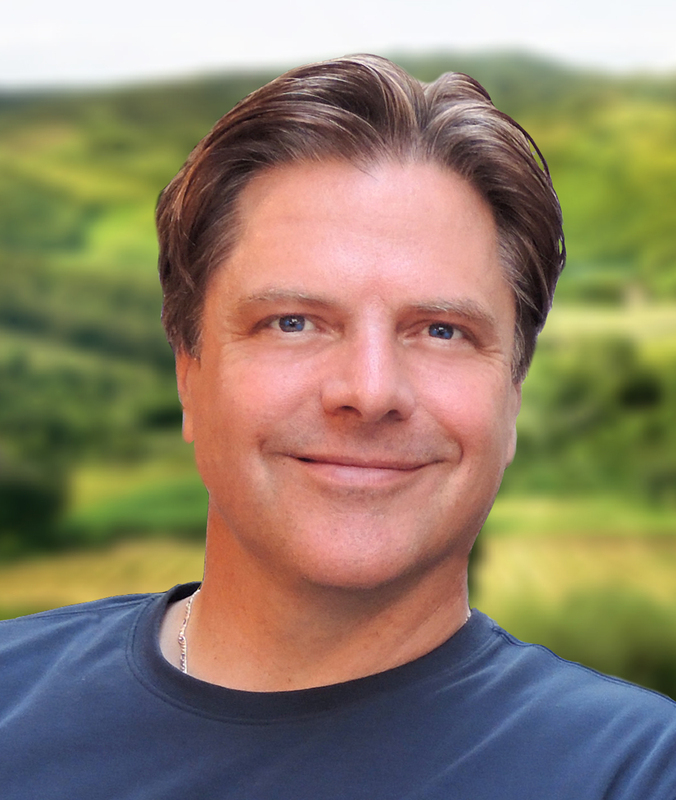 "There would be less suffering in this world if humanity would learn this one truth: It is not what we receive but what we give that heals us," Michael writes in his diary. Talk about the ways in which characters in all three books -- Michael in The Locket, Hunter in The Looking Glass, and Faye in The Carousel, -- find the way to healing their own hearts by healing and nurturing others. 14. "The salvation of man is only in and through love. And where there is love, there God resides," writes Richard Paul Evans in the epilogue to The Looking Glass. What role do God and religious faith play in the novels? 15. The Orlando Sun Sentinel, writing about Richard Paul Evans's The Christmas Box, finds the novel "an artful blend of fiction and inspirational writing." "The nation's supply of Kleenex is bound to deplete after this book hits the shelves," wrote Publishers Weekly about Timepiece. "You will feel warmed and enriched by the story you have shared," said the Daily Sun about The Letter. Do the novels that make up this trilogy have the same heartwarming quality as those earlier Evans bestsellers? What do you like most about Evans's writing style? In what ways do you find the trilogy's message of love, forgiveness, faith, and redemption applicable to your own life? Would you recommend The Locket series to your friends? Why or why not?